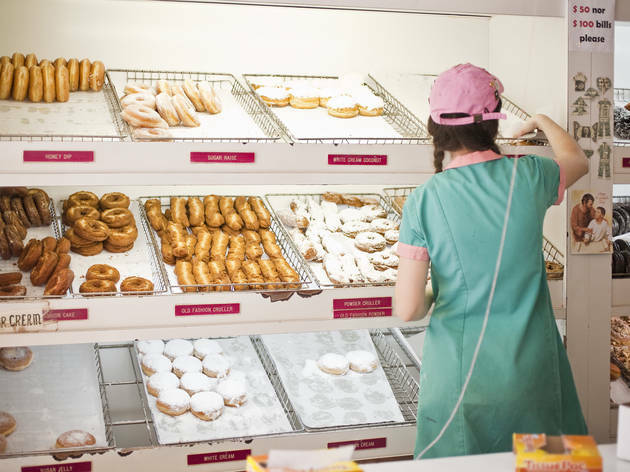 Serving hungry New Yorkers for over six decades in what once was a predominantly Polish area in Brookly’s Greenpoint neighborhood, Peter Pan Donut & Pastry Shop is one of the tastiest destinations in all of Manhattan’s five boroughs. With old school, counter top seating, a black and white checkerboard floor and waitresses in mint-green smocks complete with pastel pink collars and cuffs, walking into this retro environment – that is, if you can get past the line – is like time traveling to a far-off era; making one realize that such authentic experiences are becoming increasingly extinct in a time that strives towards constant innovation. 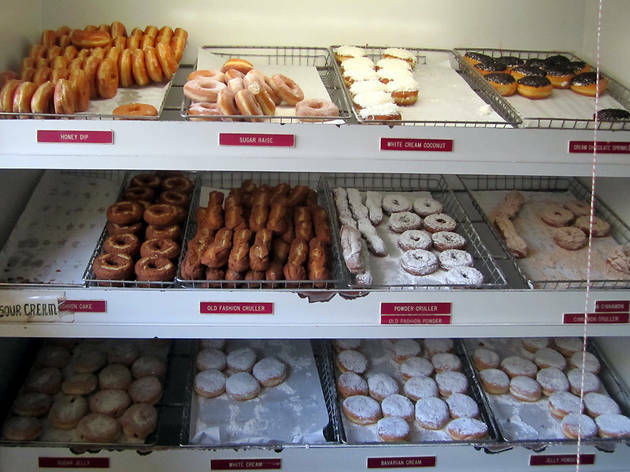 The shop exists truly unchanged since opening its doors 60 years ago, serving a classic menu of the most delicious donuts, bagels, breakfast sandwiches, pastries and milk shakes you could ever encounter. 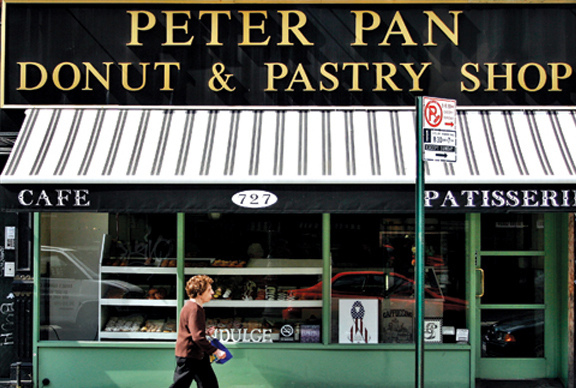 Peter Pan Donut & Pastry Shop is a must go destination for the best that breakfast, and New York, has to offer.